The merger of two of Canada's biggest fertilizer names became official on Tuesday, as shares in Nutrien Ltd. will commence trading on the TSX on Jan. 2, born out of the combined ashes of PotashCorp and Agrium. 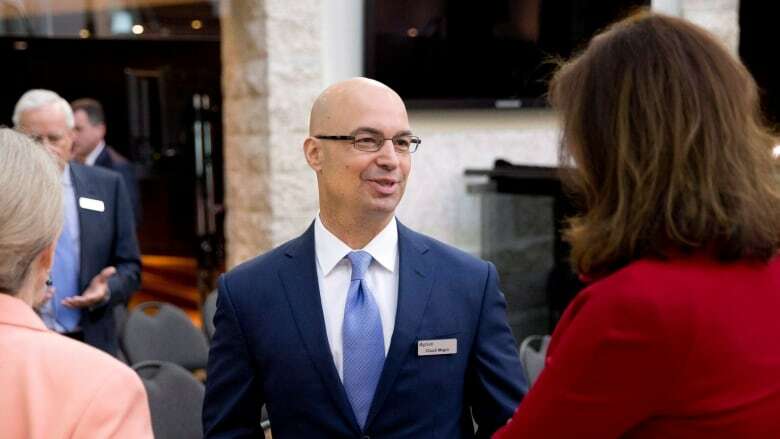 "Today we are proud to launch Nutrien, a company that will forge a unique position within the agriculture industry," the new company's CEO Chuck Magro said in a news release. Magro was the CEO of Agrium in 2016 when a tie-up with rival fertilizer PotashCorp of Saskatchewan was first proposed. Saskatoon-based PotashCorp is one of the world's leading suppliers of potash and a major producer of other fertilizing minerals. Calgary-based Agrium, meanwhile, was a leader in other commodities and had an extensive network of retail operations. The deal worked its way through a Byzantine series of shareholder and regulatory approvals before finally becoming official this morning. The combined company has more than 1,500 farm retail centres, and employs more than 20,000 people across operations in 14 countries — but will remain headquartered in Saskatoon. Original Agrium shareholders received 2.23 shares in Nutrien for every share they had in Agrium. PotashCorp shareholders, meanwhile, received 0.4 new shares for every old one. Shares in the new company began trading on stock exchanges in Toronto and New York a little after 9:30 a.m. eastern time on Tuesday morning. The stock, which trades under the ticker symbol NTR, opened at $65.23 in Toronto before jumping up a little and then slumping down to about $65.05 a share in Toronto near midday. The ticker symbols for the old companies, POT and AGU, respectively, have been halted. And both will eventually be phased out. After they have been inactive for more than one calendar year, both ticker symbols will be up for grabs by other companies — and POT is likely to be an appealing moniker for one of Canada's many upstart marijuana companies. Agrium, PotashCorp merger will 'impact the entire industry,' including thousands of farmers: prof.